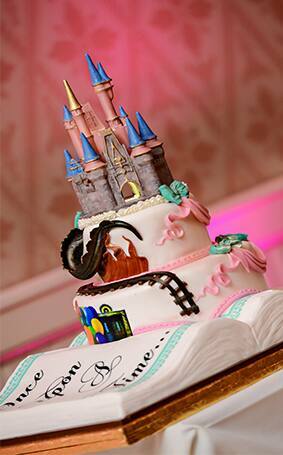 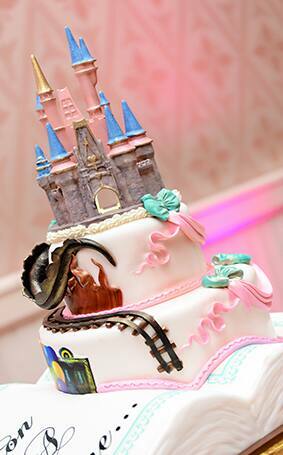 This week's Wedding Cake Wednesday invites you to dive into the pages of a Disney story all its own. 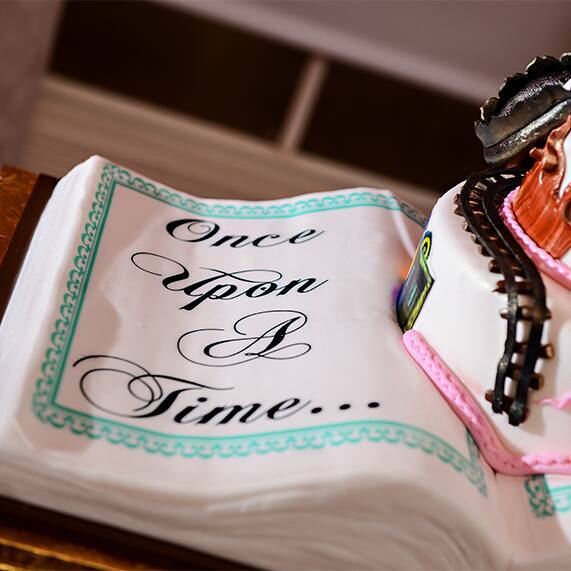 Awakening a sense of adventure, the cake boasts a Tower of Terror elevator door, Up-inspired balloons, roller coaster tracks - and last but not least - a fiery dragon! 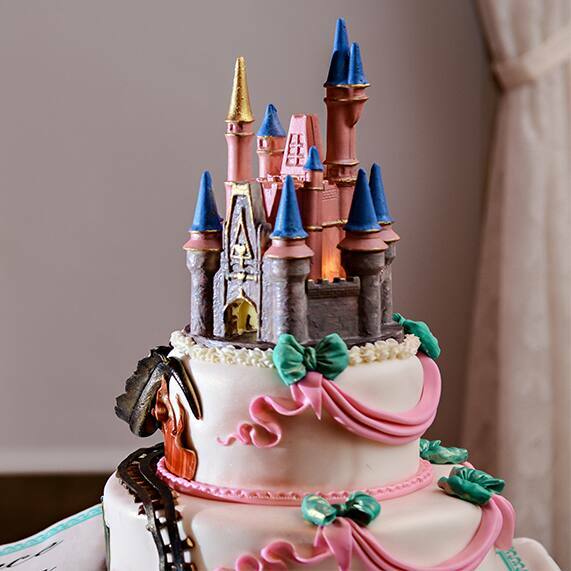 Of course no fairy tale is complete without a proper castle, so the bakery used a Sleeping Beauty Castle cake topper to complete the whimsical look.